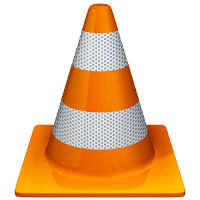 VLC media player is the most popular media player. Everyone know about it. Its always in the top downloads list of every software download site. It is also a MUST HAVE windows software in our list. What make it a favorite of everyone is its simple, easy to use, clean interface and most importantly it can Play every video or audio format you throw at it. I think if its media file, VLC can play it. The latest stable release of VLC media player is 1.1.11 which you can download from VLC homepage. These are the days of faster update cycle as we know in case of Google Chrome and Firefox. and VLC media player is not in that race. But year 2012 is not same, you can find the giant leap in update in last 2 years. Latest beta version is 2.0 and you can download VLC Media Player 2.0 Nightly Build from here. VLC 2.0 a unstable version and only for developers but when i downloaded and use it, got no any problem. It was as smooth as the stable version but with much improved response time, same great clean interface. It can now play HD content like BlueRay, DVD and files form Archives. So download and install it now and discover the all new VLC. You can also use VLC media player on your Android Device.